Imagine that you are the project manager for the now-infamous lithium batteries on Boeing's Dreamliner 787 aircraft -- or the program manager for the whole airplane. The preliminary report from the safety board has just been published. Could you live with this assessment by two informed followers of this incident? Some of those details [of the preliminary report] raised questions about how Boeing could have misjudged the risks. Misjudged the risk? Judgement of risk is at best an estimate of uncertainty; there are are always misjudgments because there are no facts, only estimates and forecasts. All risks events are in the future; there are no facts about the future. The facts are in the past. All judgments are made in the context of uncertainty. A better question is about failure modes: what failure modes did Boeing model/analyze; did they appreciate the effect of multiple and cumulative effects? 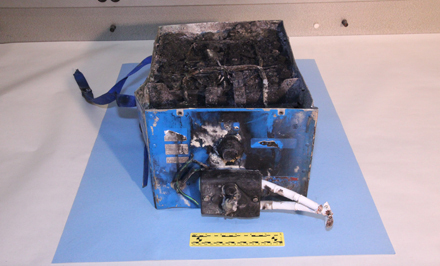 It's reasonable and customary to evaluate the safety of something as complex as the battery -- a system that mixes chemistry, electronics, and flight safety -- with the Failure Mode and Criticality Analysis method (FMECA). Ignorance management -- who knew?